1.O N G C - for offshore and onshore applications. 4.New P C N D T buildings in Akurdi. 11. K P M G Ltd.
20.VerGo Pharma Research Laboratories Pvt. Ltd.
7. 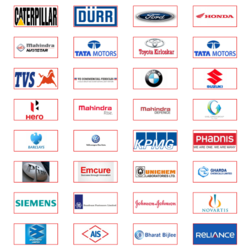 Tube Products India Ltd. Chennai.